120V 1750W 55 gal. 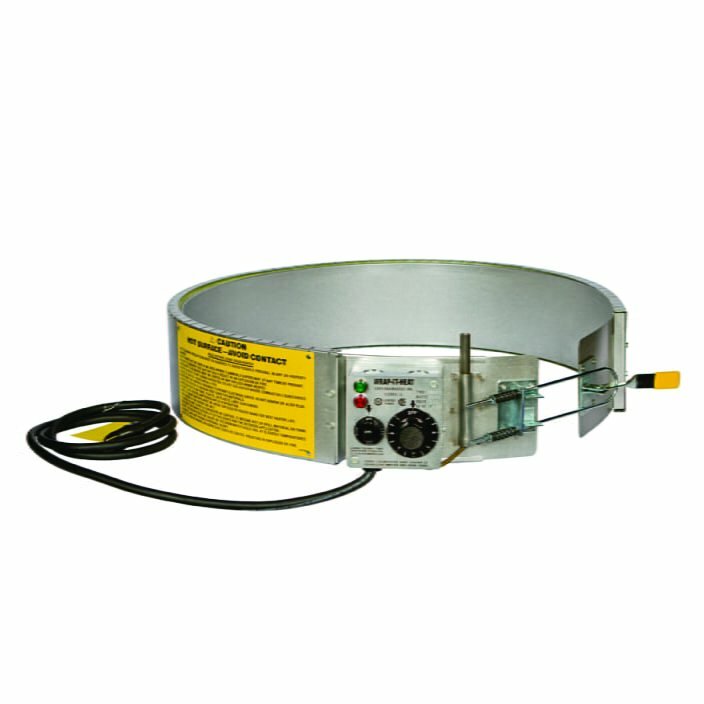 drum heater with thermostat and three heat switch. 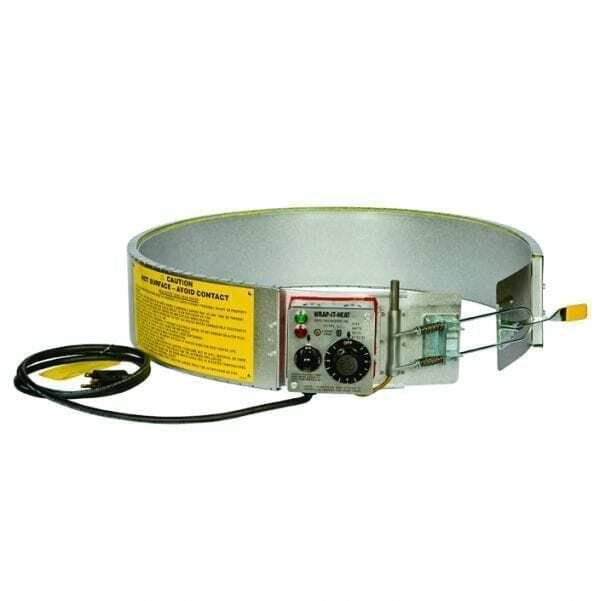 Model AGM-55 Drum Heater, is a thermostatically controlled drum heater with a three heat switch. 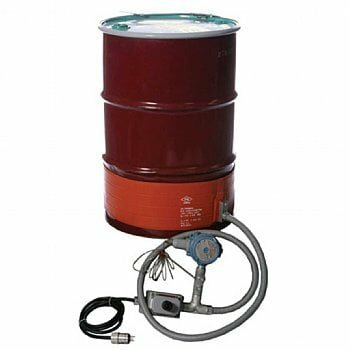 Model AGM-55 Drum Heater is for standard 55 gallon all METAL drums. 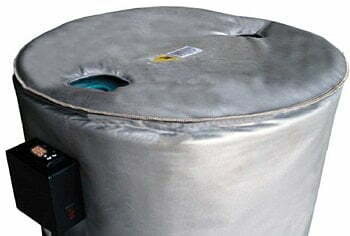 AGM-55 cannot be used on Plastic, Plastic Lined or Fiber Drums. Model AGM-55 is designed for heating materials with GOOD HEAT RECEPTIVITY. Thermostat bulb senses temperature in an area remote from the active heating element. You have the choice of two thermostat ranges: High, 200F – 400F, and Low, 60F – 250F. Three heat switch allows three wattage ratings per thermostat setting and voltage rating: HIGH, Maximum Watts; MEDIUM, 1/2″ Maximum Watts and LOW, 1/4″ Maximum Watts. Equipped with spring loaded toggle clamp for snug fit, 6 foot power cord and 3 prong plug. FOR INDOOR USE ONLY. AGM-55 is to be used to heat NON-FLAMMABLE, NON-COMBUSTIBLE materials only in a NON-HAZARDOUS area. Model AGM-55 Drum Heater is U.L. Listed and C.S.A. Certified.